World War Z is a rerelease of the zombie bestseller timed to coincide with the eponymous motion picture starring Brad Pitt. Early critics of the film have already trotted out the mantra the book is better—but is it? 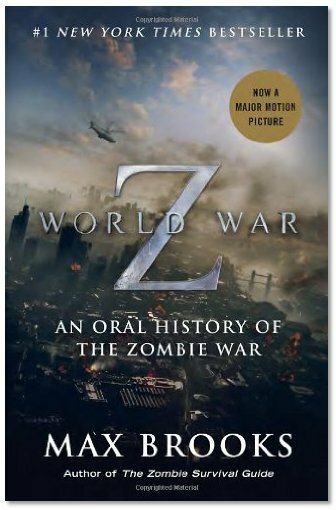 Author Max Brooks (son of Mel Brooks and Anne Bancroft) chose to write World War Z not as a novel, but as a collection of so-called journalistic interviews with various survivors of the war with the walking dead. By doing so the author is, to coin a phrase, hoisted by his own petard. Even in the longer interviews where the character is allowed to drone on to a greater extent than any decent interviewer would allow there is zero character development. Few and far between are the moments when the reader begins to have any feelings about the people telling their stories. Other than a few words of introduction, little is offered to differentiate between the narrators. Yes, there are male and female, soldiers and civilians, Chinese, Japanese, American and all nationalities between but they all sound the same. They all speak perfect American, down to gotten. This blanket of sameness shrouds the book from cover to cover, making it gradually harder and harder to reach the end. Even if this was done to create in the reader the sort despair that mankind would feel under such conditions, it doesn’t make for a page turner. Throw in the mind-boggling array of acronyms and initialisms—Ks, Gs, SC, LRP, AIT, LaMOE, RCs, PSA to pick just a few from the latter pages—and you have a book that seems to take as long to read as the war did to win. Undoubtedly Mr Brooks has a vivid imagination. He also clearly has the determination needed to research and detail an epic story of this kind. It is a shame, then, that the book is spoiled by occasional jingoism—possibly involuntary. The interviewees from Russia, China, and Cuba bemoan their communist days, and astute readers will almost hear the first faint bars of “The Star Spangled Banner” at the turn of the page. 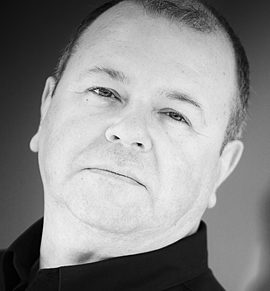 It would be interesting to see what Mr Brooks could turn out if he wrote the book again as a traditional novel, so that readers might experience the fear, tension, and horror of mankind under threat from the undead. As it stands, World War Z is more World War Zzzzzzzzzzz.